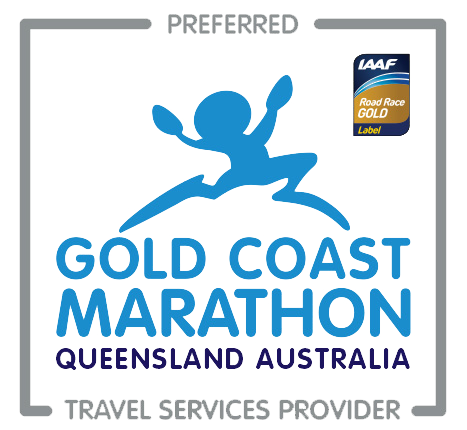 This article was first featured in SportsInCycling.com on 19 March 2019. 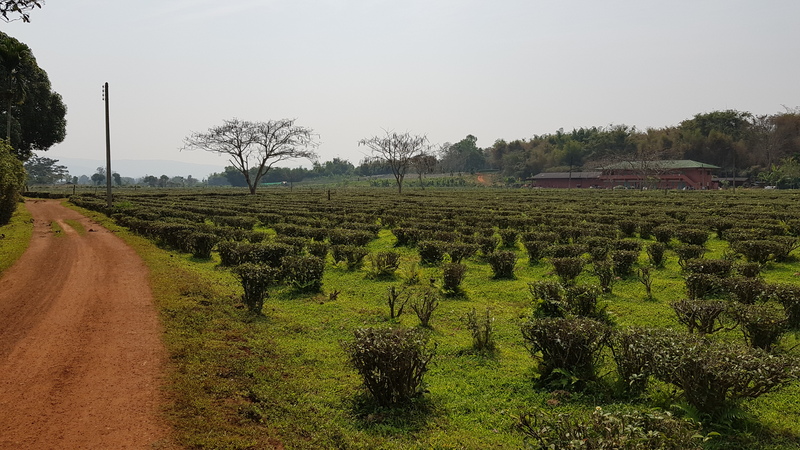 Located in the far north of Thailand lies Chiang Rai province, a lovely laidback region known for its production of good quality arabica coffee beans grown in the mountains. The city, commonly known as Chiang Rai was once under the rule of the Burmese for several hundred years. Little was really known about this region of Thailand other than the stories we heard from our friend residing there. 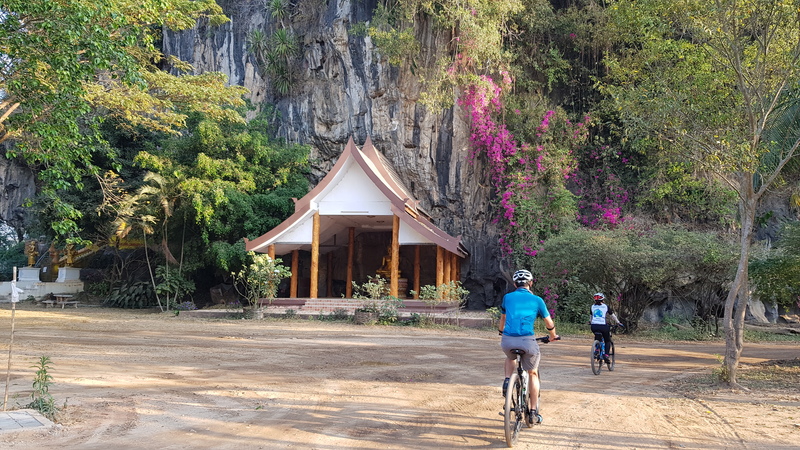 He was sharing about the local cycling scene, where the views are stunning with many variations of routes one can make, from leisure to challenging. 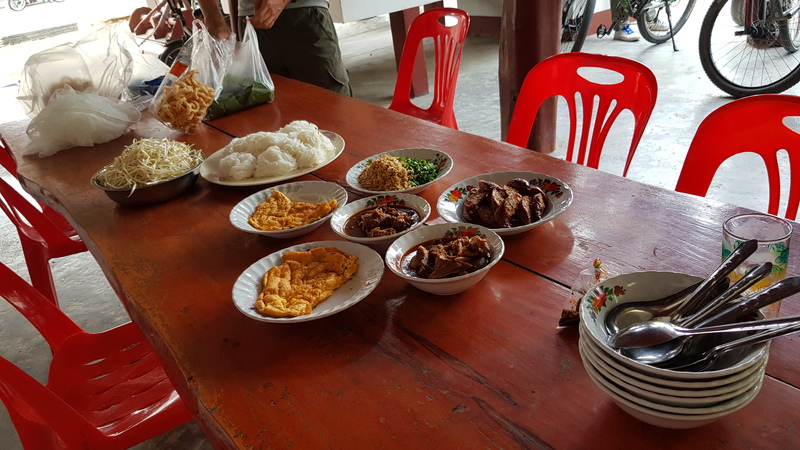 Sheryl and I, Mabel, took our flight to Chiang Rai without much clue about Chiang Rai, but eager to try out the route he had planned for us, exploring the hidden routes away from tourists, where only locals knew. 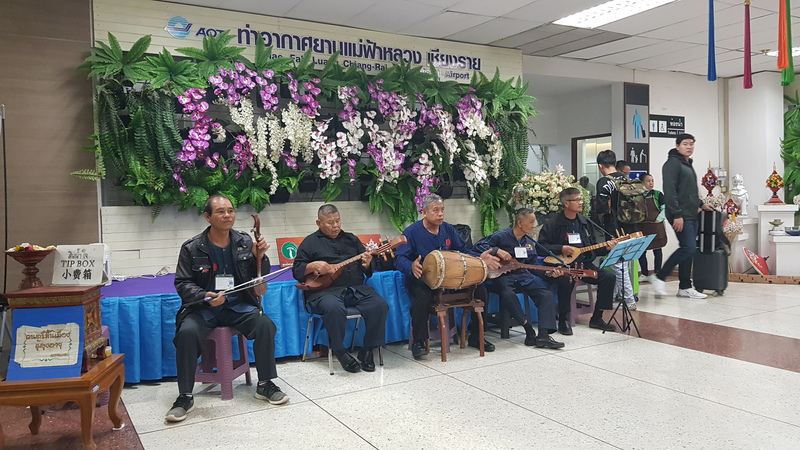 We were pleasantly welcomed with a local live band singing lively Thai songs upon arrival into Chiang Rai airport. We went straight to test our rental bikes before checking into our hotel. We took a walk around the town and was pleasantly surprised to find many quirky little cafes dotting the streets. 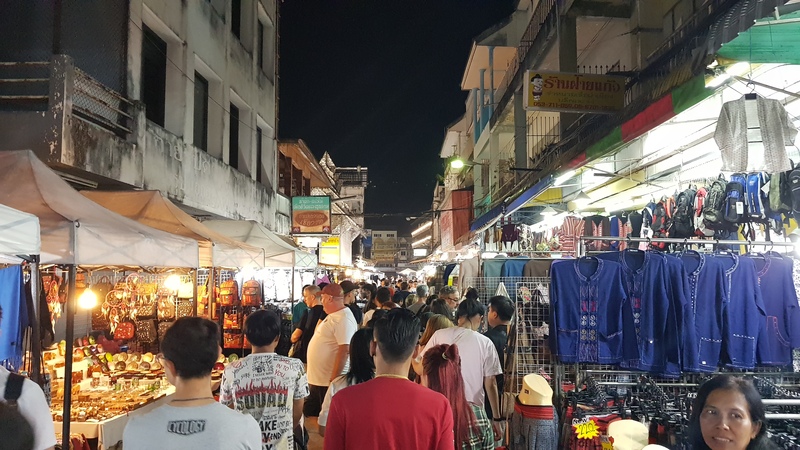 There is a night bazaar every night that starts from 6 PM, and we took a stroll through the stalls and found many interesting local designs with modern Northern Thai influence, whether it’s clothing or souvenirs. Since it was dinner time, we decided to dine at a restaurant near the town’s landmark, the clock tower, as there is a colour changing performance every hour starting from 7pm. Our ride today is along the river of Chiang Rai. The first stop is an interesting cave temple with statues of Buddha dating 2,000 years and above! As we cycle, the quietness and vastness of the route is pretty apparent, allowing us to cycle freely without worrying about traffic. 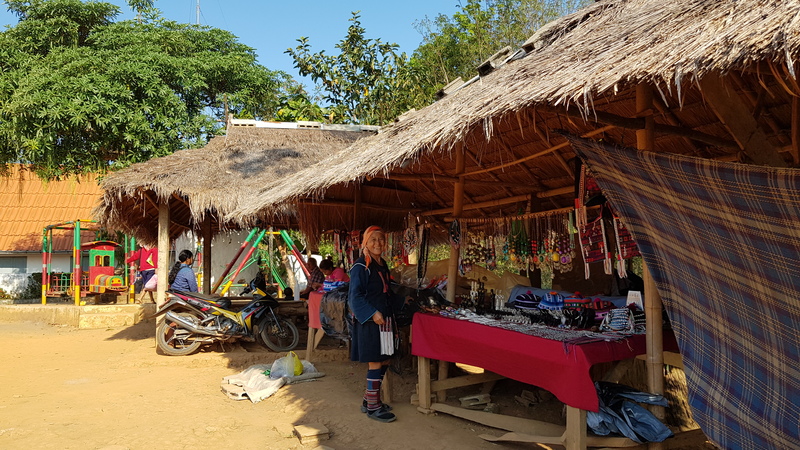 Along the route, we chanced across a hill tribe located up a steep hill. Their quiet smiles completely drew us as they peddle the handicrafts they made. We made a stop at a local hot spring, and decided to boil our own onsen chicken, duck and quail eggs! After a delicious lunch, it was time to head back, with a stop enroute at a popular cafe literally in the middle of nowhere. 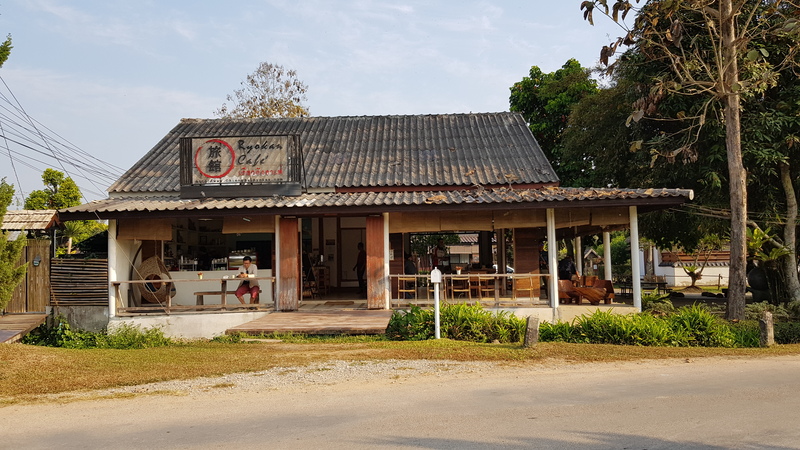 They serve one of the best coffee and desserts in Chiang Rai, and locals travel from afar just for them. Our recee ended early, so we made a detour to Doi Tung for the Mae Fah Luang Garden and Doi Chaang Moob. 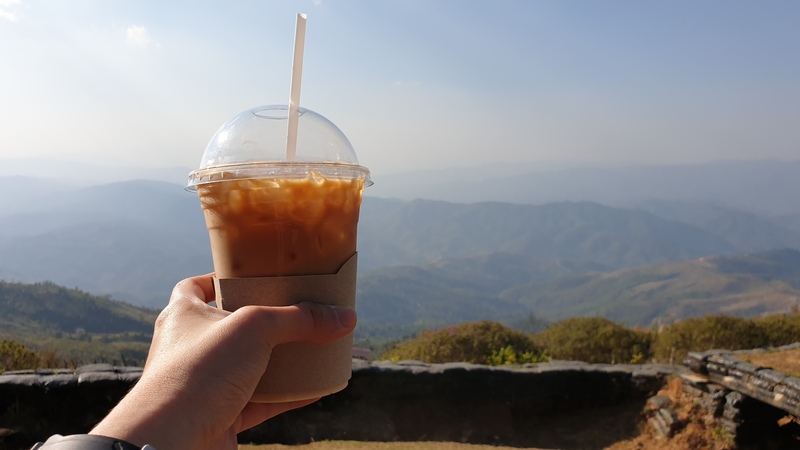 From the viewpoint of Doi Chaang Moob, we saw Mayanmar's vast mountain range and enjoyed a cup of coffee brewed by the army guards as we appreciate the stunning views. We woke up early for our transfer to Singha Park before getting on our bike to explore the huge compound. We were lucky; flowers were in full bloom everywhere! The flowering season is usually from November to January. The park has a swan lake, tea plantation and even a petting zoo. 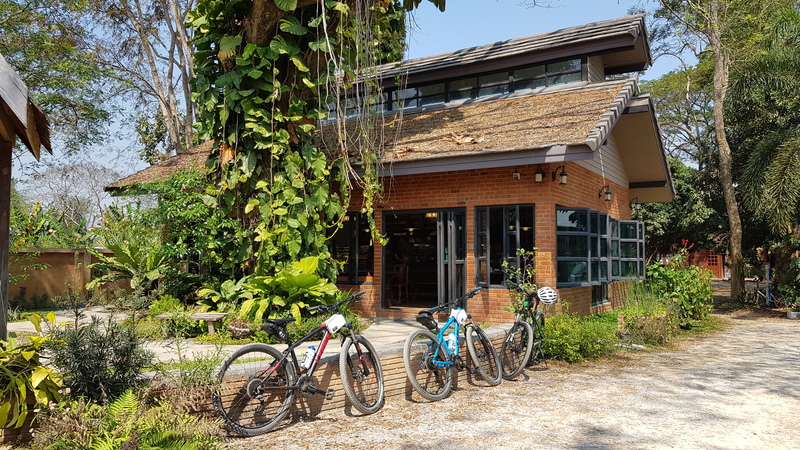 After a quick photo with the icon, Singha, we cycled out into the backroads and stop by a Japanese themed cafe that comes with a Japanese inspired bamboo forest park. The next visit made was to one of the biggest seated Buddha in Chiang Rai. The huge statue is a remarkable sight even from afar. Next up was a visit to a tea plantation. The first thing that greeted us is a gigantic teapot looking building, signifying we came to the right place. After a quick tea appreciation session, we walked through the plantation, taking in the smell of fresh tea lingering in the air. Our last stop before retiring at our lovely resort in Phan was an abandoned dam. 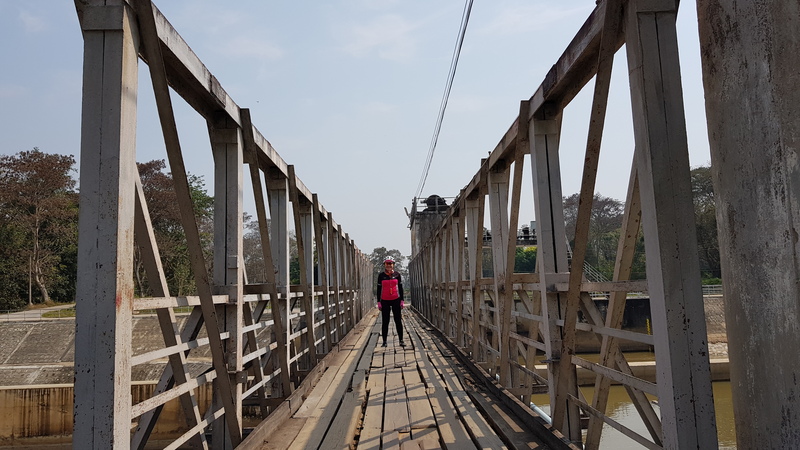 We crossed a precarious looking bridge and cycled past the homes of local villagers, catching glimpses of their daily activities. We spent ¾ of our day exploring Phan. 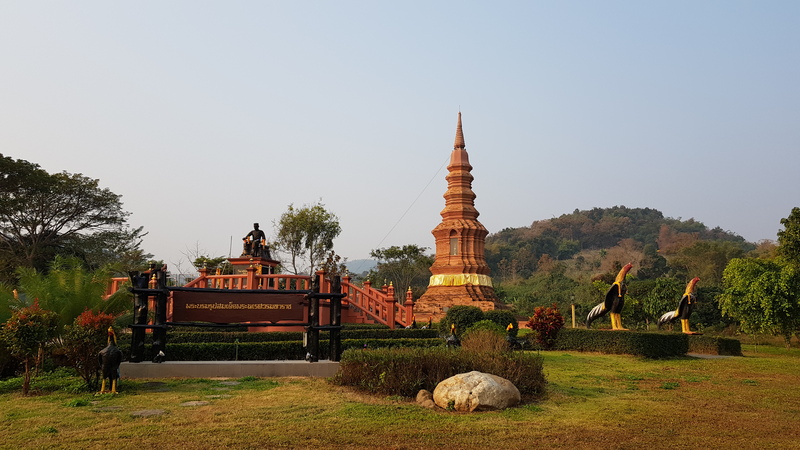 First visit was a local temple with interesting statues of local folklore, followed by the victory monument erected to commemorate King Naresuan for liberating Thailand from the hands of Burma in the 16th Century. 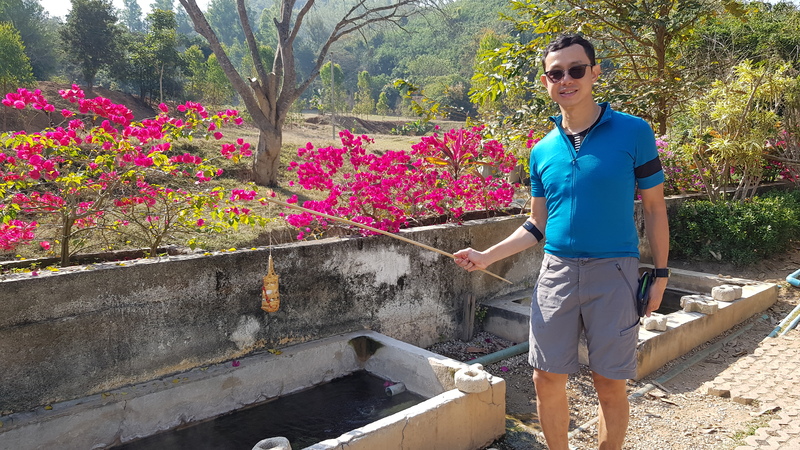 We stopped by a fish pond where hundreds of catfishes are eagerly awaiting to be fed, before visiting Ji Gong Chinese Temple where the statue of Ji gong is the tallest in Thailand and 2nd tallest in the world! 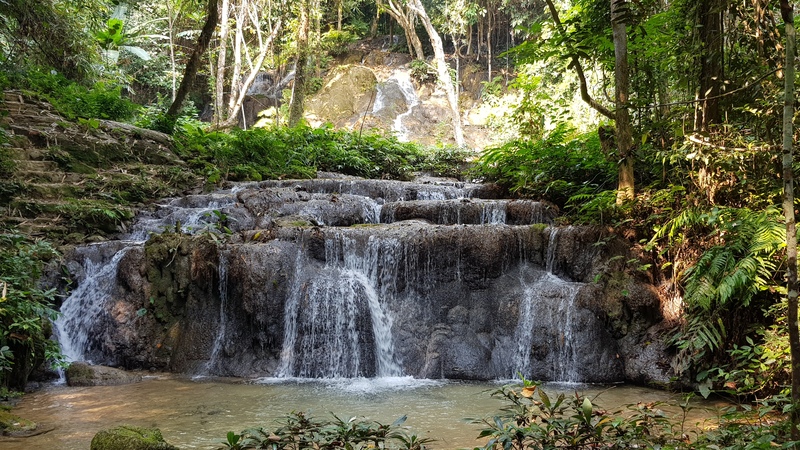 A visit to Pu Kaeng Waterfall in Doi Luang National Park is a must, and we hiked a little to catch different parts of the falls. Our day ended with a lovely home cooked meal of Northern Thai Kantoke cuisine. What a way to explore Phan! 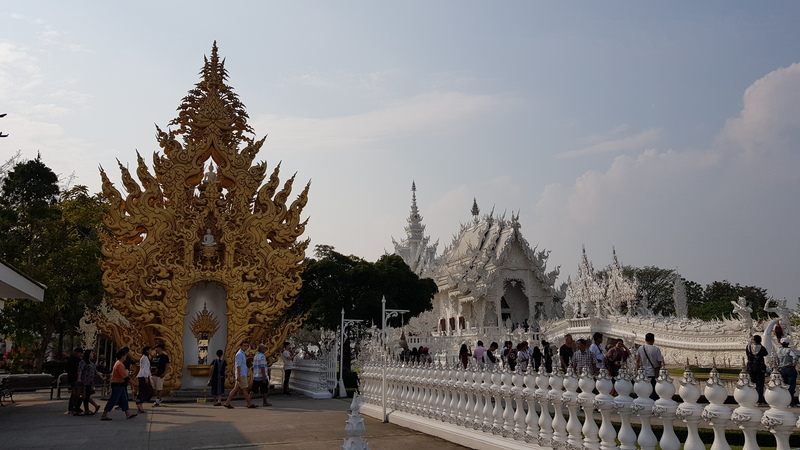 On the way back, we made a stop to the White Temple for a quick photo. 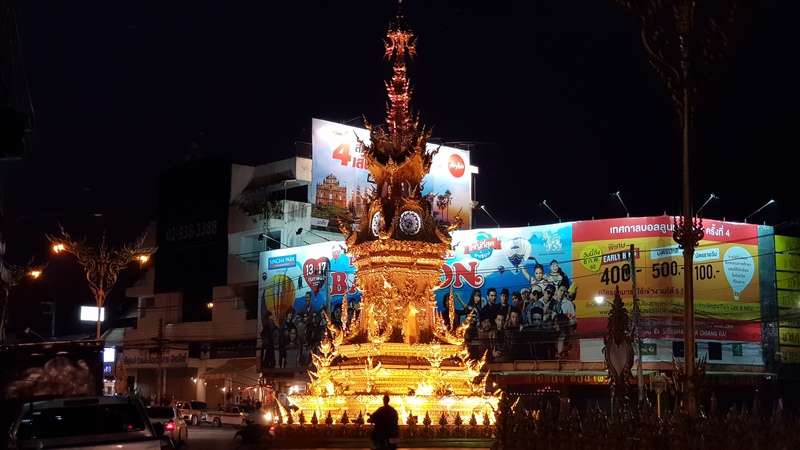 We spent our evening exploring the longest walking street in Chiang Mai that happens every Saturday night. 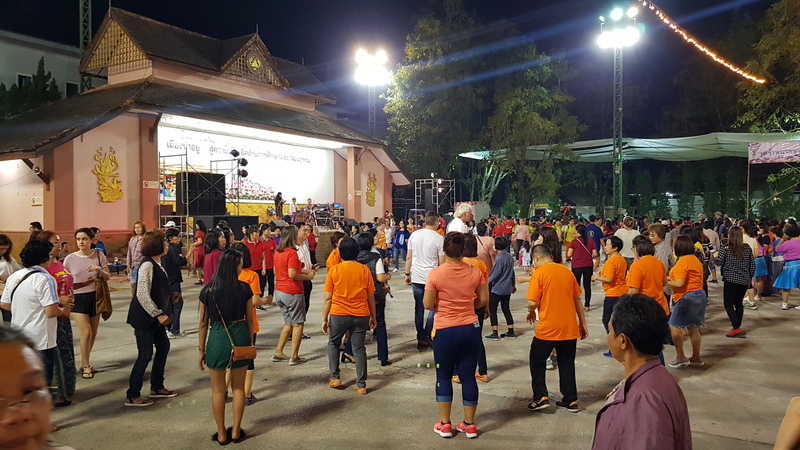 The night scene is bustling with street performances as well as line dancers! Saying good bye to so much fun is always hard. We bade an early farewell to Chiang Rai as we caught our early morning flight back to Singapore. Within these five short days, we saw the appeal of this lovely province and can't wait to come back for more! Interested in the trip above? 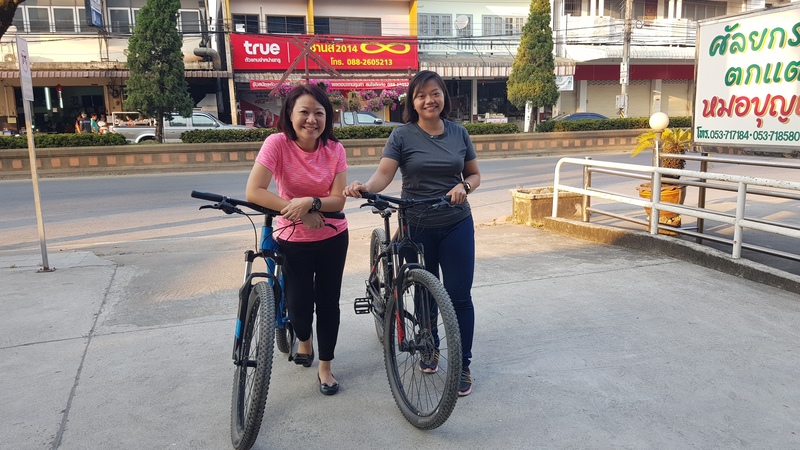 Check out our Cycling Adventure in Chiang Rai! 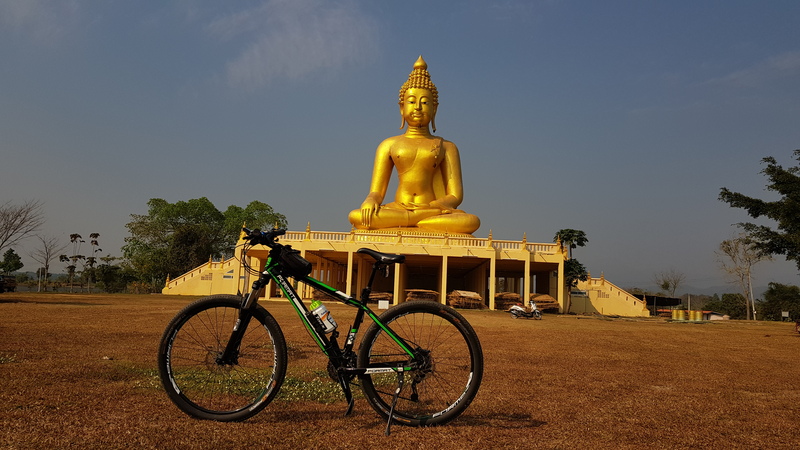 Actual trip is 6 days, with the extra day spent cycling up Doi Tung. All other inclusions are the same, but sequence of visit may change.